Please review our Privacy Notice, which also governs your visit to this Site, to understand our practices relating to the collection and use of your personal information. All materials displayed on, or contained within, the Site, including, but not limited to, design, text, editorial materials, informational text, photographs, illustrations, artwork and other graphic materials, and names, logos, trademarks, and service marks (collectively, the "Materials"), are the property of Sanitary Service Company or its licensors and are protected by copyright, trademark, patent and all other applicable intellectual property laws. The Sanitary Service Company name, designs, and related marks contained within the Materials are trademarks of Sanitary Service Company. You acknowledge and agree that the Site and the Materials are the property of Sanitary Service Company and Sanitary Service Company’s licensors, and that you will not acquire any rights or licenses in any trademarks, patents, copyrights, or other intellectual property on the Site or in the Materials. The Site and the Materials are protected by copyright, both individually and as a collective work or compilation, by trademark and patent laws, and by other applicable laws. 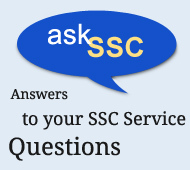 Sanitary Service Company grants you a limited license to access and make personal use of this Site, and its Materials, and not to download (other than page caching) or modify it, or any portion of it, except with the express written consent of Sanitary Service Company. You may not frame or utilize framing techniques to enclose any trademark, logo, or other proprietary information (including images, text, page layout, or form) of Sanitary Service Company or its affiliates without the express written consent of Sanitary Service Company. You may not use any meta tags or any other "hidden text" utilizing Sanitary Service Company‘s or its affiliates‘ names or trademarks without the express written consent of Sanitary Service Company. Any unauthorized use terminates the permission or license granted by Sanitary Service Company. [You are granted a limited, revocable, and nonexclusive right to create a hyperlink to the homepage of the Site so long as the link does not portray Sanitary Service Company, its affiliates, or their products or services in a false, misleading, derogatory, or otherwise offensive matter.] You may not use any logo or other proprietary graphic or trademark of Sanitary Service Company or its affiliates as part of the link without our express written permission. Your misuse of the Site or any of the Materials is strictly prohibited. The Site is not intended for use by children. If you are under 18, you may use Sanitary Service Company only with permission and involvement of a parent or guardian. Sanitary Service Company and its affiliates reserve the right to refuse service, terminate accounts, or remove or edit content in our sole discretion. SANITARY SERVICE COMPANY AND ITS AFFILIATES ATTEMPT TO BE AS ACCURATE AS POSSIBLE. HOWEVER, SANITARY SERVICE COMPANY DOES NOT WARRANT THAT DESCRIPTIONS OF SERVICES OR OTHER CONTENT OF THIS SITE IS ACCURATE, COMPLETE, RELIABLE, CURRENT, INTERRUPTION-FREE OR ERROR-FREE. MOREOVER, SANITARY SERVICE COMPANY DOES NOT WARRANT THAT ANY INFORMATION SENT OR RECEIVED IN CONNECTION THEREWITH IS SECURE AND WILL NOT BE INTERCEPTED BY UNAUTHORIZED PARTIES, OR THAT THE SITE, INCLUDING ANY STORAGE SERVICES AND ITS CONTENTS, OR THE SERVER THAT MAKES THEM AVAILABLE, ARE FREE OF VIRUSES OR OTHER HARMFUL COMPONENTS. WITHOUT LIMITING THE FOREGOING, SANITARY SERVICE COMPANY AND ITS LICENSORS, MAKE NO RESPRESENTATION AND DISCLAIM ALL EXPRESS OR IMPLIED WARRANTIES AND CONDITIONS OF ANY KIND RELATED TO THE SITE, INCLUDING, BUT NOT LIMITED TO, REPRESENTATIONS, WARRANTIES OR CONDITIONS REGARDING ACCURACY, TIMELINESS, COMPLETENESS, NON-INFRINGEMENT, SATISFACTORY OR MERCHANTABLE QUALITY OR FITNESS FOR ANY PARTICULAR PURPOSE OR THOSE ARISING BY LAW, STATUTE, USAGE OF TRADE, OR COURSE OF DEALING AND WARRANTIES IMPLIED FROM A COURSE OF PERFORMANCE OR COURSE OF DEALING. THIS SITE IS PROVIDED BY SANITARY SERVICE COMPANY ON AN "AS IS" AND "AS AVAILABLE" BASIS. YOU EXPRESSLY AGREE THAT YOUR USE OF THIS SITE IS AT YOUR SOLE RISK. IN NO EVENT SHALL SANITARY SERVICE COMPANY, ITS AFFILIATES OR LICENSORS BE LIABLE FOR ANY DIRECT, INDIRECT, PUNITIVE, INCIDENTAL, SPECIAL, CONSEQUENTIAL OR OTHER DAMAGES ARISING OUT OF OR IN ANY WAY CONNECTED WITH THE SITE AND YOUR USE, ATTEMPTED USE, OR ANY DELAY OR INABILITY TO USE, THE SITE, OR FOR ANY INFORMATION, SOFTWARE AND SERVICES OBTAINED THROUGH THE SITE, WHETHER BASED ON CONTRACT, TORT (INCLUDING BUT NOT LIMITED TO NEGLIGENCE), STRICT LIABILITY OR OTHERWISE, EVEN IF SANITARY SERVICE COMPANY OR ANY OF ITS AFFILIATES OR LICENSORS HAS BEEN ADVISED OF THE POSSIBILITY OF DAMAGES. THIS WAIVER APPLIES, WITHOUT LIMITATION, TO ANY DAMAGES OR INJURY ARISING FROM ANY FAILURE OF PERFORMANCE, ERROR, OMISSION, INTERRUPTION, DELETION, DEFECT, DELAY IN OPERATION OR TRANSMISSION, COMPUTER VIRUS, FILE CORRUPTION, COMMUNICATION-LINE FAILURE, NETWORK OR SYSTEM OUTAGE, OR THEFT, DESTRUCTION, UNAUTHORIZED ACCESS TO, ALTERATION OF, OR USE OF ANY RECORD. YOU SPECIFICALLY ACKNOWLEDGE AND AGREE THAT SANITARY SERVICE COMPANY, ITS AFFILIATES OR LICENSOR SHALL NOT BE LIABLE FOR ANY DEFAMATORY, OFFENSIVE OR ILLEGAL CONDUCT OF ANY USER OF THE SITE. THE ABOVE LIMITATIONS AND EXCLUSIONS SHALL APPLY TO YOU TO THE FULLEST EXTENT THAT APPLICABLE LAW PERMITS, IN ALL ACTIONS OF ANY KIND, WHETHER BASED ON CONTRACT, TORT (INCLUDING, WITHOUT LIMITATION, NEGLIGENCE) OR ANY OTHER LEGAL OR EQUITABLE THEORY. ANY CLAUSE DECLARED INVALID SHALL BE DEEMED SEVERABLE AND NOT AFFECT THE VALIDITY OR ENFORCEABILITY OF THE REMAINDER OF THIS TERMS OF SERVICE. The Site contains links to, or references, third party websites, resources and advertisers (collectively, "Third Party Sites"). Your linking to such Third Party Sites is at your own risk. Sanitary Service Company is not responsible for the accuracy or reliability of any content, data, opinions, advice, statements, or other information made on the Third Party Sites. Sanitary Service Company also is not responsible for the availability of these Third Party Sites, nor is it responsible for the aesthetics, appeal, suitability to taste or subjective quality of informational content, advertising, products or other materials made available on or through such Third Party Sites. No endorsement of any third party content, information, data, opinions, advice, statements, goods, services or products is expressed or implied by any information, material or content of any third party contained in, referred to, included on, or linked from or to, the Site. Under no circumstances shall Sanitary Service Company be held responsible or liable, directly or indirectly, for any loss, injury, or damage caused or alleged to have been caused to you in connection with the use of, or reliance on, any content, information, data, opinions, advice, statements, goods, services, or products available on such Third Party Sites. You should direct any concerns to the respective Third Party Site’s administrator or webmaster. Any links to Third Party Sites do not imply that Sanitary Service Company is legally authorized to use any trademark, trade name, logo or copyright symbol displayed in or accessible through such links, or that any linked Third Party Site is authorized to use any trademark, trade name, logo or copyright symbol of Sanitary Service Company. Any dispute relating in any way to your visit to the Site shall be submitted to confidential arbitration, except that, to the extent you have in any manner violated or threatened to violate Sanitary Service Company’s intellectual property rights, Sanitary Service Company may seek injunctive or other appropriate relief in any state or federal court, and you consent to jurisdiction and venue in such courts. Arbitration under this agreement shall be conducted under the rules then prevailing of the American Arbitration Association. The arbitrator’s award shall be binding and may be entered as a judgment in any court of competent jurisdiction. To the fullest extent permitted by applicable law, no arbitration under this Agreement shall be joined to an arbitration involving any other party subject to this Agreement, whether through class arbitration proceedings or otherwise.